This property at 333 Skyview Ranch Road NE , Calgary, ABT3N 0K8 has listed by Sheri-Lee Presenger but has not been updated for quite some time. Please contact the listing agent and broker for up to date information. This home is fully loaded and in immaculate condition. The open concept floor plan meets you at the door. With views from the large front entry, this floor plan flows through the living room, dining room and to the kitchen. Freshly painted in grey neutrals, with a back mudroom, aggregated concrete patio and heated garage, you will see all it offers and more. 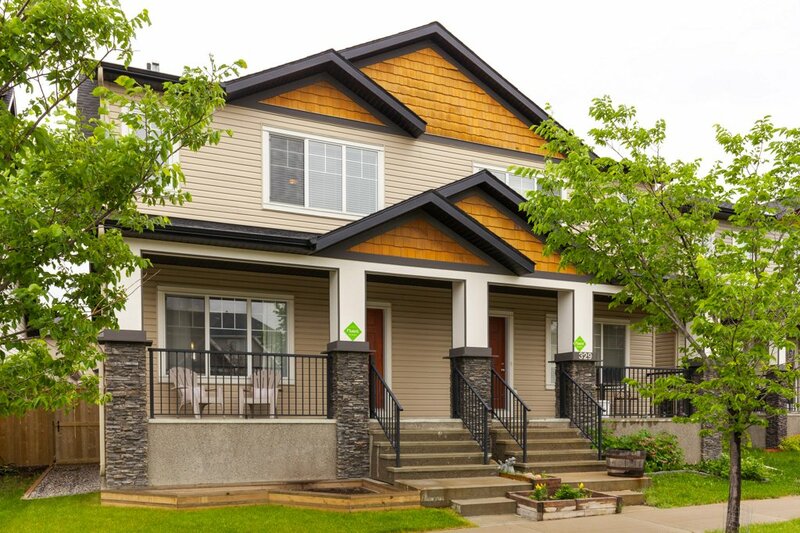 High efficiency Air Conditioner, Air Purification System, Energy Recovery Ventilator System, Tankless Hot Water System, Heated Double Garage, Front Veranda, boasting a South Back Yard! Does this sound interesting? What if we add granite countertops throughout the kitchen and all bathrooms? How about an aggregate concrete patio and fully fenced yard? Then this 3 bedroom, 2.5 bathroom semi-detached home with open concept main floor, second floor laundry and a back entry mudroom is for you! The fabulous finishings include hand-scraped hardwood, wide baseboards and trim, high-gloss tiled back entry, stainless steel appliances, newly painted, 2" blind package and 9ft main floor ceilings. That is not all. The basement is framed and insulated, with a bathroom roughed-in. The neighbourhood is being built up with shopping amenities and schools. This home definitely stands out as one to see with all of the additions and the fact that it is IMMACULATE, you do not want to miss out on this one. Book a showing now.